Germany may not be the first country that comes to mind when thinking of berets, but actually, there is a long and strong tradition of beret-wearing and making in Germany. The former Berlin mayor Ernst Reuter, for example, was so dedicated to the beret, that even his statues depict him wearing a beret. Similar for writer and Nobel prize winner Heinrich Böll - he was hardly seen without a beret, or Baskemütze, on his head. 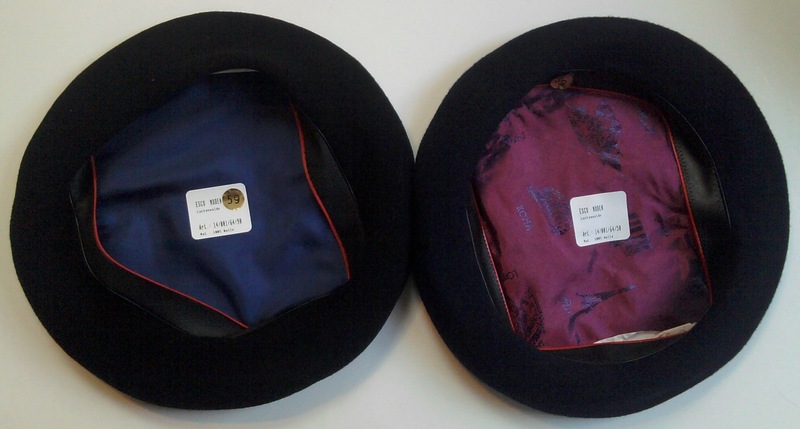 The berets we sell at South Pacific Berets come from the old hatters town of Luckenwalde, the capital of the Teltow-Fläming district in the German state of Brandenburg (formerly East Germany). It was here that, in 1923, Jewish architect Erich Mendelsohn erected the Herrmann hat factory, a milestone of Expressionist architecture. Luckenwalde's hat making history dates back to the 17th century.These Baskenmütze (German for 'Basque beret') are made in the historical hatters town of Luckenwalde, in the former G.D.R. 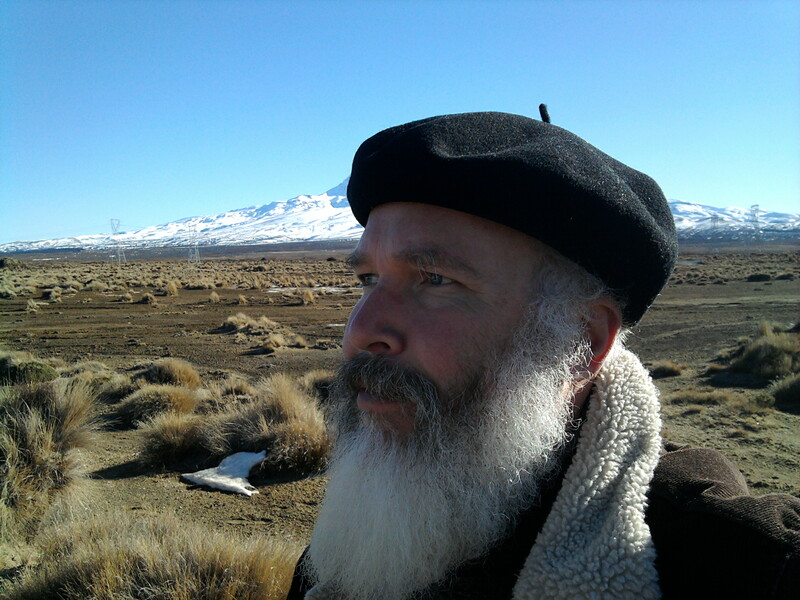 Or, to be more precise, these berets are a Franco-German co-production: the plain hoods, consisting of pure merino wool, come from France and are then modified, lined, "head-banded" and finished in Germany. 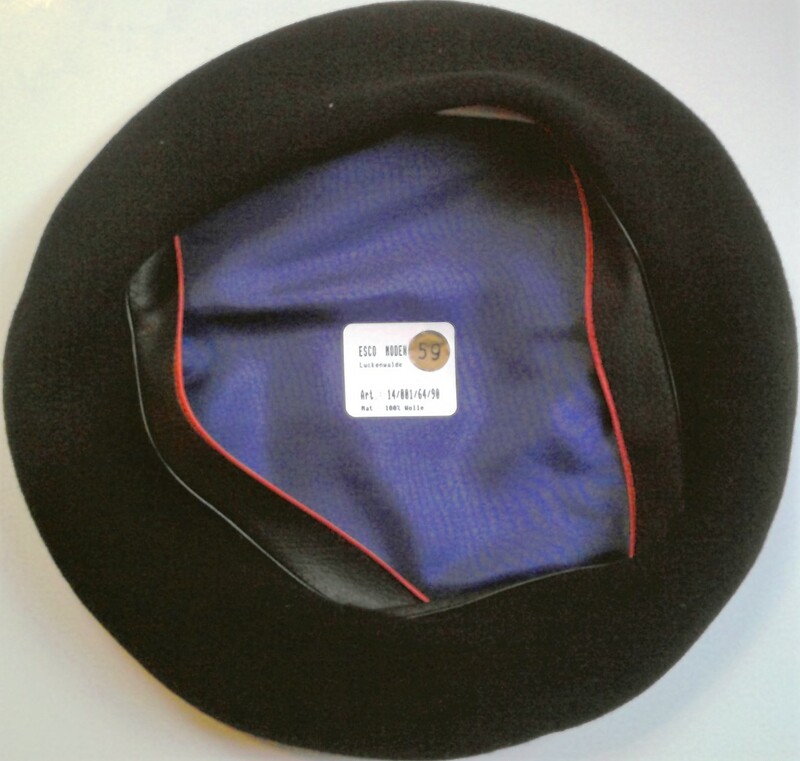 The Baskenmütze Classic is indeed the classic Basque beret, while the Baskenmütze with external rim is quite different from any other beret at South Pacific Berets, having a small rim of felted-wool sewn on to the head-opening, effectively lifting the beret a few millimeters from the head. The actual head-opening is finished with a strip of black leatherette. 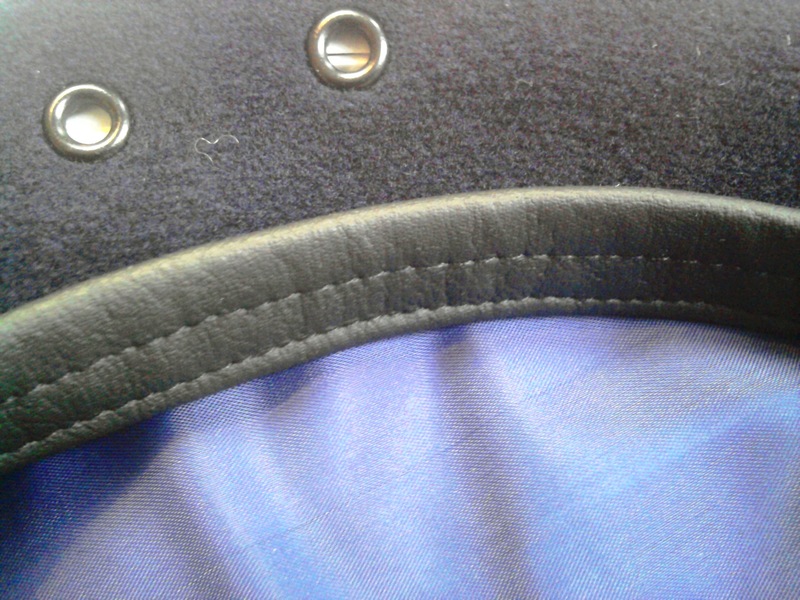 The berets are finished with two air vents and an unusual pleasant lining. 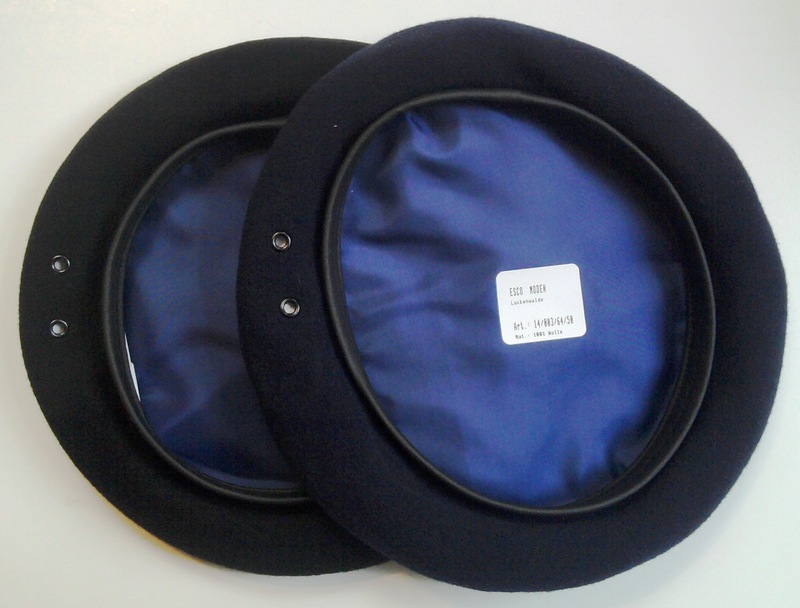 The combination of the small lift with air vents causes air ventilation between the scalp and the beret, making these berets very comfortable and excellent for warmer conditions. Diameter 27.5cm. Available in Black and Navy. 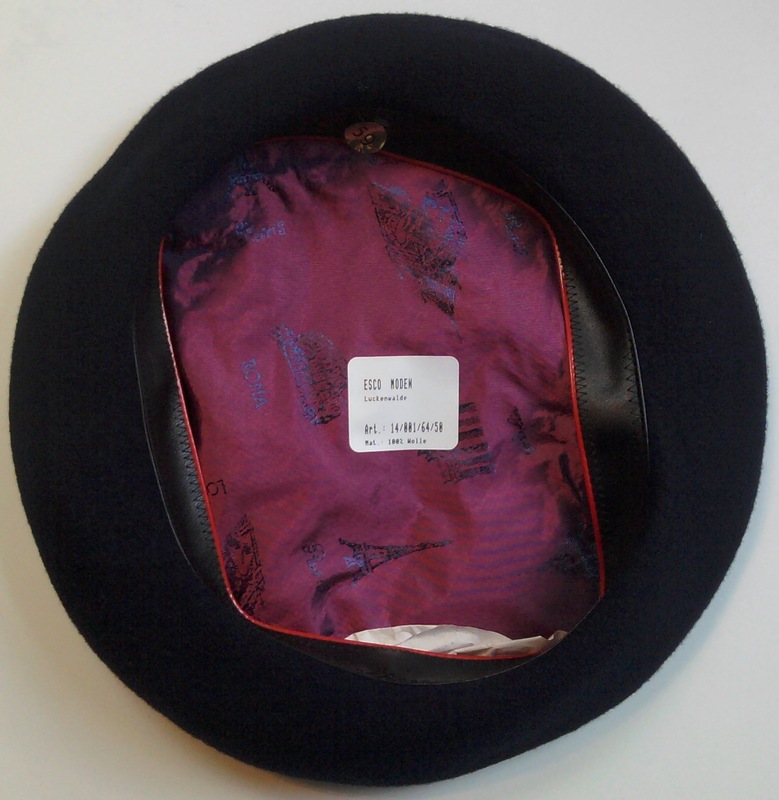 The Baskenmütze Classic is, as the name implies, a classic Basque Beret. Artisan production, perfect finishing and fitted with a very pleasant viscose lining. 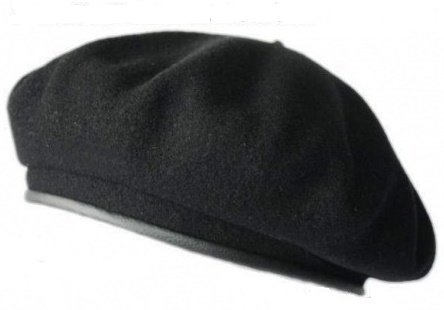 A most comfortable beret available in Black and Navy. The Baskenmütze with external rim comes in two varieties: the first one with a narrow leatherette headband (similar to military style berets) and the second variety has a wider headband, giving the wearer a slightly tighter fit. Baskenmütze - Navy - Slim ext. Hb.